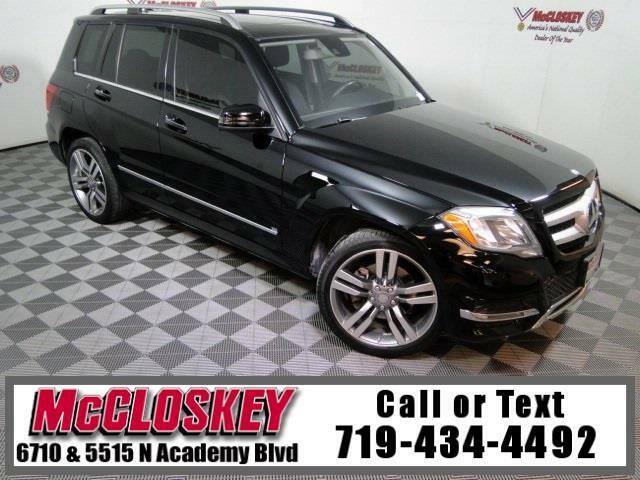 Turn Heads in this luxurious 2015 Mercedes-Benz GLK 350 4 Matic with Navigation System, Dual Moon Roof, Heated Leather Seats, Blindspot Detection, and Push Button Start! Standard equipment on both models includes 19-inch wheels, automatic headlights, automatic wipers, LED running lights, foglamps, rear privacy glass, roof rails, cruise control, dual-zone automatic climate control, power front seats (10-way driver and eight-way passenger), driver memory settings, power lumbar adjustment for the driver seat, a leather-wrapped tilt-and-telescoping steering wheel and a cargo cover. Standard electronics features include Bluetooth phone and audio connectivity, the COMAND electronics interface (with a 5.8-inch display), the mbrace2 emergency communications system and a six-speaker sound system with a CD player, HD radio and an auxiliary audio jack.